Former NHL player and local product Jarret Stoll has been named the first inductee into the ICE Hall of Fame. He will be officially honored on March 2nd in Cranbrook, BC. 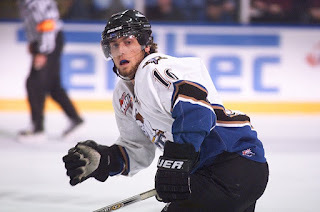 Stoll was a member of the Edmonton then turned Kootenay ICE from 1998 to 2002 playing in 245 games, tallying 124 goals and 162 assists for 286 points while also winning two league championships, and one Memorial Cup. Stoll was twice named to the WHL First All-Star Team, once in 2001 and again in 2002. He also earned a bronze and silver medal for Team Canada at the World Junior Hockey Championship in 2001 and 2002 respectively.